It’s all in the name. A new name, especially in the tech world, attracts attention, especially if it designed by the mother of all tech companies, Apple Inc. Presently, rumors abound and refuse to die down until, finally, an Apple event in the Fall of 2012 reveals all. We know that the new iPhone will be released – the last product with which the late and great Steve Jobs was intimately involved from start to finish. By all accounts, it is going to be revolutionary and will absolutely sell like hot-cakes because of Steve Jobs’ involvement. However, in the wake of the newest announcements that the iPod Touch is going through a revamp stage, everyone is in a frenzy. Will the new iPod Touch be the rumored iPad Mini? I touched on this very topic a couple of days ago but it bears repeating. I feel that Apple should release a newly sized product with a new, spiffy name, for no other reason than to peak the interest of the consumers. Picture a newly sized device, programmed specifically for kids and, perhaps, per-loaded with some kid-oriented apps related to Education, Music, Games, Problem-Solving, Books etc. And it should be made of material that can withstand the rough and tough handling by children and tots. Water and drool-proof as well. My 18-month-old grandson may still be teething and learning to speak but he spends half his day playing and drooling all over my iPad. Then christen it with a new, high tech name that will have the parents running in droves to grab one during the holiday season. iTot? ChildPad? IPadJunior? iToy? iPod Pro? iPod ‘Tween? iPod Prime? Finally! 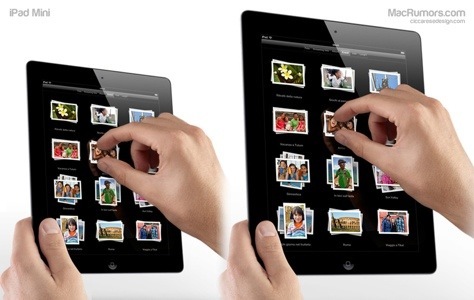 An article that makes creative sense regarding a smaller version of the IPad. Computerworld.Com hit all kinds of personal nerves and buttons. It is brilliant! It is genius! And like many innovative solutions, basking in simple and obvious rationale. That column was somewhat controversial, because people were viewing the iPad as a high-end luxury item for technology fans, not a toy for children. It turns out that the iPad was a combination of the two: It became the “toy” of choice for the children of technology fans who buy high-end luxury items. 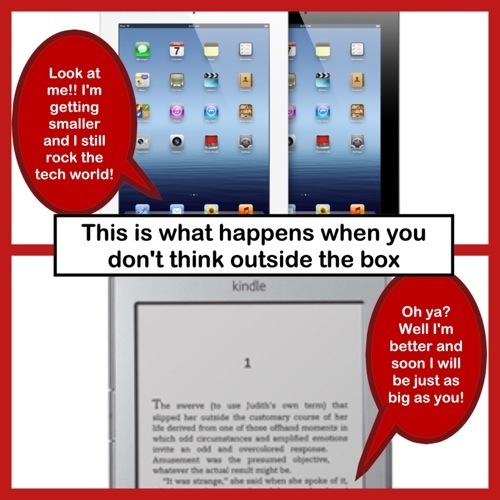 “In fact, the appeal of iPads to kids is the biggest problem with the phenomenon. Go into any Apple store, or check out the Apple section at Best Buy, and you will always see very small children mesmerized by the device. I can say without hesitancy that this is the absolute truth. 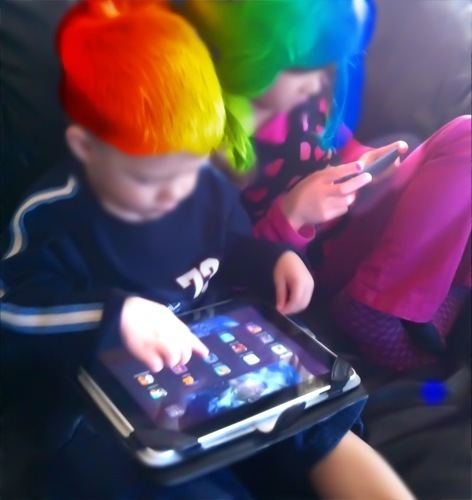 I have seen my grandchildren devour iDevices while their other toys sit in the corner, longing for their company. And, perhaps, just perhaps, Steve Jobs was toying with us when he said that the consumers would need sandpaper to file down their fingers in order to manipulate the apps on the 7″ iPad screen. However, he was talking about adult consumers, not children and, certainly, not toddlers. 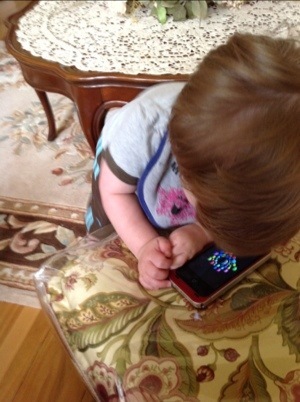 Their little fingers are the perfect size for a ChildPad. Over the past few months, my 18-month-old grandson has discovered the notification center, the home button, the volume button, the “on-off” button, various apps that he loves and can start them without assistance. It is incredibly mind-boggling to watch the process. And the size of the preferred device is directly proportional to the age of the child. For instance, my 18-month-old and 2.5-year-old grandsons prefer the iPhone while my 6.5-year-old granddaughter prefers the iPad. The smaller iPhone fits more comfortably in smaller hands and is not as heavy. Oh yes, an iPad Nano or a ChildPad valued at under $200.00 would sell gangbusters at Christmas, especially with the launch of iOS 6 this Fall, enabling a parent to add restrictions on which apps a child can access. Leave it to Apple to create the obvious. A best-selling tech toy hiding in plain sight. Could this have been Apple’s plan all along? 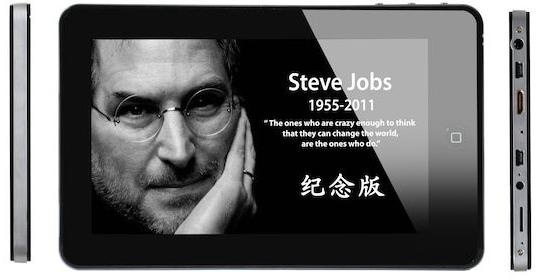 Was Steve Jobs merely trying to discourage competitors from beating them to the ChildPad launch via his sandpaper comment? Hard to say – but it makes for juicy discussion.